How do you keep from getting cold feet? … Don’t go around BRRfooted! Lame joke, I know, but winter weather is no laughing matter. On average, 60 people are killed and 6,000 are injured in Wisconsin each winter in accidents when roads are covered in ice, snow, and slush. It’s important for all of us to prepare for the power of winter storms. Most importantly, pay attention to media sources for weather updates. Periods of excessively cold weather and potentially hazardous storms such as heavy snow, ice storms, and blizzard conditions are normally forecast with advance notice. Here are a few key weather terms and the definitions. Winter Storm Watch: Winter storm conditions (heavy snow, sleet, and freezing rain) are possible within the next 36-48 hours. Continue monitoring the weather forecast. Winter Storm or Ice Storm Warning: A significant winter event is occurring or will begin in the next 24 hours. The combination of snow, sleet, freezing rain and moderate winds will impact travel and outdoor activities. An Ice Storm Warning is issued when mostly freezing rain is expected with ice accumulations of ¼ inch or more within a 12-hour period. Take necessary precautions – consider canceling travel plans. Blizzard Warning: A dangerous event with winds that are 35 mph or greater in combination with falling and/or blowing snow that reduces visibility to 1/4 mile or less for a duration of at least 3 hours. 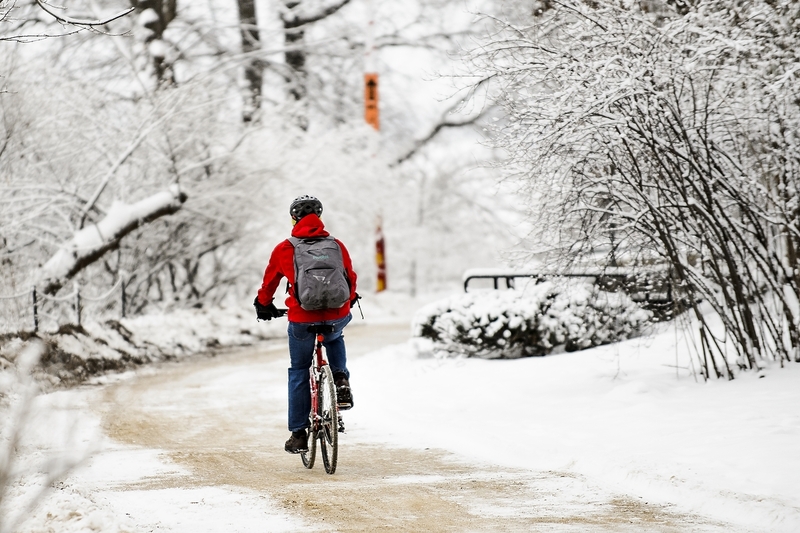 For more information on staying safe during Wisconsin’s winter, please visit Ready Wisconsin online.